Parents sometimes brag about the ‘fact’ that their young child sleeps through the night. Never mind the bags under their eyes that stretch to their chin, a recent survey reveals that the majority of those parents could be exposed as frauds. The website Netmums surveyed 11,000 British families last August and laid bare that one-third of parents lie about the sleeping behaviour of their child. Moreover, it reveals another reality: only 27 percent of three-month-old newborns sleep through the night. When it comes to babies or toddlers, something strange happens: parents easily distort the truth about basic milestones like sleeping, crying, walking and talking. Why do so many parents have a tendency to spin the actual development of their child? 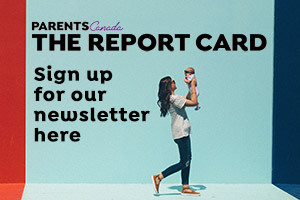 “That speaks to how little faith today’s parents have in themselves, how little confidence they have that they can be good parents, and how seriously they – compared to prior generations – take the task,” says Alvin Rosenfeld, a renowned American child psychiatrist and co-author of The Over-Scheduled Child: Avoiding the Hyper-Parenting Trap. Sleeping, crying, walking and talking are nothing special, so don’t brag about it, he says. Besides, these accomplishments also have no predictive value. For example, children who walk early are not automatically a budding Usain Bolt. And a brilliant orator does not necessarily lie in a child who spits out impeccable sentences at a relatively young age. Can bragging be harmful? Says Dr. Rosenfeld, “We all take some vicarious pleasure in our children’s ‘accomplishments’. That encourages them. When we seem to appropriate them for ourselves and make the kid into a machine for manufacturing bragging rights for us, I think we harm them. Are you an overly proud parent? Here are some tips to get you back to reality. Be aware of the risks. At a party you proclaim in a loud voice that your little one is such a happy baby. If only you knew that your husband just confessed to someone else that your oh-so-cheerful toddler wails like a banshee, with constant temper tantrums that wake the entire neighbourhood. Share your misery for the peace of mind of another person. You’ll get gratitude in return. For a parent who has been deprived of sleep as a consequence of a screaming child, it’s a relief to hear that he or she is not the only one. As a bonus, you also contribute to real expectations of parents-to-be. Let’s get real, please! A few figures to raise some realistic expectations: Nearly 40 percent of one-year-olds still do not sleep through the night, the study of Netmums demonstrates. Children are capable of independent walking – not a few wobbly steps – around an average age of 14 months with a wide range of 10 to 18 months. Keep in mind: raising a child is a matter of muddling along to the best of our knowledge and ability. Follow your own instinct, is the best advice that exists. Be the instigator of verbal fireworks. Fling the naked truth about your baby in your circle of friends and an avalanche of horror stories will come your way. Finally, no more gooey ‘baby chitchat'.